Hi guys! Enthalpy change for methane formation can be really confusing. Here’s a diagram to help you see the connection between the processes. Once you’ve understood the concept, you could then write the equations and try it out yourself. For the enthalpy diagram below, I just want to bring your attention to the hydrogen combustion equation. You might be wondering why I’m using ½ a mole of oxygen. 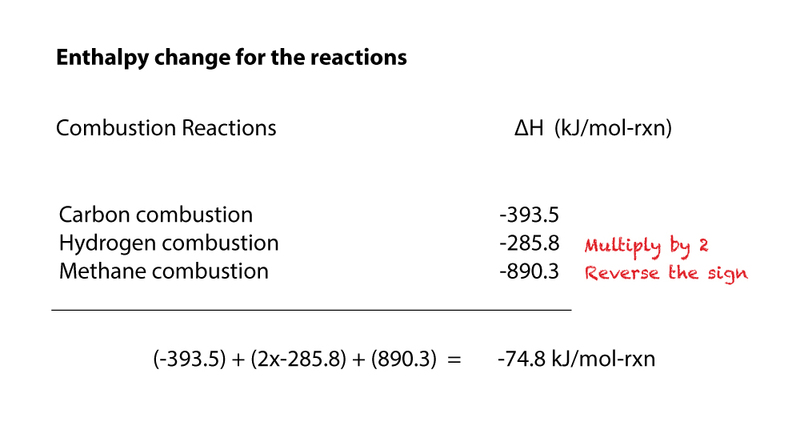 While methane formation equation uses 2 moles of hydrogen, the hydrogen combustion uses ½ mole of oxygen to 1 mole of hydrogen to produce 1 mole of water. This is multiplied by a factor of 2 further down the path as you will see in the diagram. 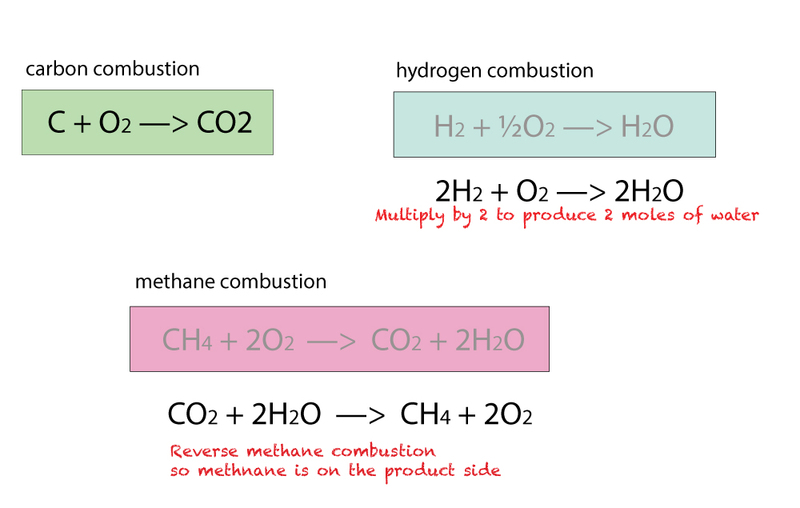 Applying Hess Law, I’m combining different paths to find the enthalpy change of methane formation. You’ll see at the end after a few steps you arrive back at the original methane formula even though you have started with other equations. This proves Hess Law that it doesn’t matter which path you take!